Enough is Enough – Amphetamines for Toddlers is a Travesty. – Robert Berezin, M.D. Alan Schwarz writes, in the New York Times, May 17, 2014 – “Thousands of Toddlers Are Medicated for A.D.H.D., Report Finds, Raising Worries”. We are talking about two and three year old children, 10,000 of them, drugged with amphetamines. This is not some bad sci-fi movie. This is America 2014. 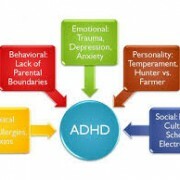 As I have previously addressed in How do Our Children get Misdiagnosed with So-Called ADHD? 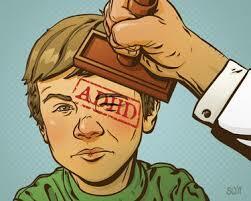 And Reflections on “The Selling of Attention Deficit Disorder, ADHD is a fictitious disease. It was invented by the American Psychiatric Association and Big Pharma. They have successfully indoctrinated the culture at large that our children are beset by genetic and biological diseases. And the treatment is psychoactive drugs. 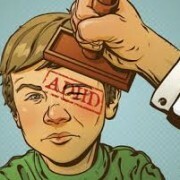 We are told that 11% of all children between 4 and 17 have ADHD. One in five boys are prescribed amphetamines at some point in their lives. 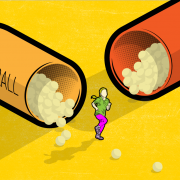 Adderall is actually approved by the FDA for children between 4 and 6. 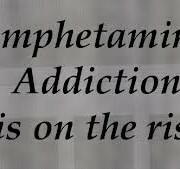 Amphetamines are dangerous, destructive, and addictive drugs – for adults, for the malleable brains of teenagers, for the developing brains of children, never mind the brains of two and three year olds. We have enough trouble keeping teenagers off of drugs, including speed. Does it sound like a good idea to start them off at two? How did we ever get to this point that giving amphetamines to toddlers is even a remote consideration? This comes from a destructive house of cards that keeps growing and growing and growing. It started with the belief that our psychiatric conditions are diseases, and that human suffering can be cured by a pill. Once this false belief took hold then it was just a matter of time that they traced these ‘diseases’ further and further back to pick them up earlier and earlier, now at age two. Psychiatric problems in childhood is not a disease. The human condition and human suffering is the same now as it has been all throughout history. All psychiatric problems of children, adolescents and adults derive from the unique temperament of each child digesting the actuality of responsiveness, deprivation, and abuse to form their character. It is a human problem. The best way to prevent psychiatric struggles in children is to raise them well. 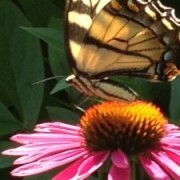 This is facilitated by the good enough provision of boundaries and love. This is hard enough in intact families and is often problematic anyway. And we now live in a time with enormous social problems where children are subject to broken families, single parenthood, divorce, alcoholism, drug addiction, and fragmented and often dangerous communities. Well meaning parents frequently lack the resources, emotional and otherwise, for the toughest job of all, raising our children. This article is very constructive. But it still reflects the hidden cultural indoctrination about ‘biological diseases’ and drugs itself, which is embedded in the writing. For instance Schwarz says, “Experts strongly criticized the use of medication in so many children that young” How about criticizing drugs for toddlers period, not so many’, any. 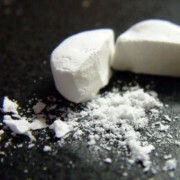 It is said that amphetamines are OK for situations “that have become so stressful that the family could be destroyed.” There are otherwise balanced and reasonable people who say we need studies on toddlers to see if amphetamines are safe. We don’t need studies on toddlers and amphetamines. Shockingly, there already have been studies on three year olds. Not surprisingly, the studies at NIMH had significant financial ties to the pharmaceutical industry that make amphetamines. I do not have some simple answer for society’s ills. But I do know that social policy needs to address the fragmentation of our families and society for us to be in the best position to raise our children well. This is a daunting challenge. I’ve spoken to many schools where the members of the guidance department always say, “We are overwhelmed. We don’t have the resources to devote to these kids and their families.”But that does not mean, in the meanwhile, lets drug them. It is not coincidence that most of toddler drugging is with Medicaid patients. ‘Do no Harm’ remains the sacred tenet of our profession. Your comments and thoughts are wonderful. Keep up the great work! We suffered through 4 years of a misdiagnosed family member and I can tell you it is hell on earth. Bless you for your insight and your courage. We are listening and I agree.